This unique puzzle is 3 feet long and features animals of the world in their natural habitats! This unique puzzle is 3 feet long and features animals of the world in their natural habitats! 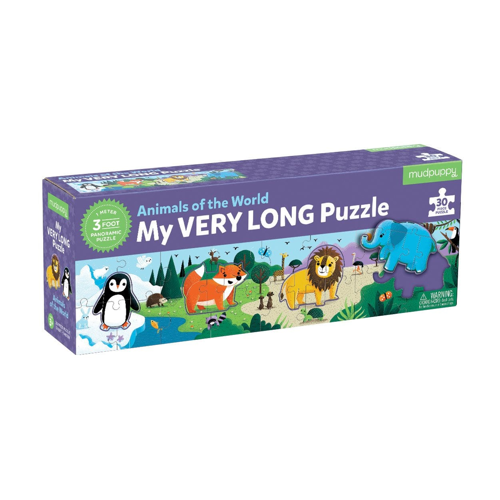 The Animals of the World My Very Long from Mudpuppy is a 30 piece puzzle, which includes 4 shaped puzzles that fit into a panoramic scene. 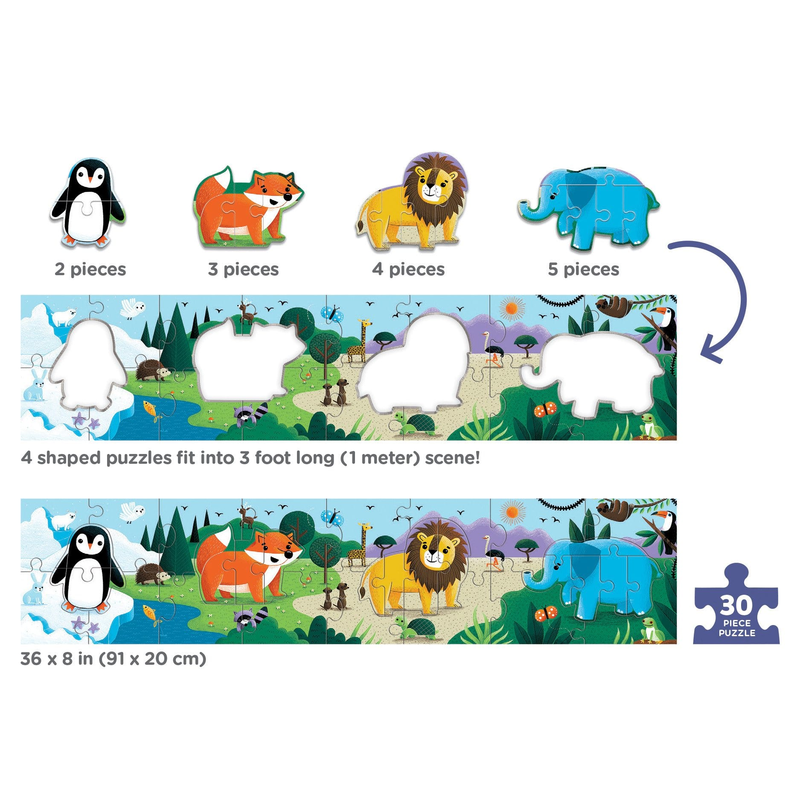 The shaped puzzles have progressive piece counts (2-5 pcs each), which children can put together before advancing to the full puzzle scene!